Lose 1 to 4 pounds a day safely and become healthier. FBS (Fat Burning Signals) with appetite control and energy enhancement is a 2oz bottle – 28 day supply (10 drops 3 times a day). FBS Drops from i-Club BIZ are proven to be super effective and simple. Countless individuals have seen results from this helpful product. These drops are safe, natural and are easy to use. Better yet, they taste great and will motivate you to continue your weight loss goals. Discover the best products sold at iCB and find yourself feeling better than you have in years. What are fat burning signals? FBS is a biological technology that has two proprietary steps, an electro magnetic charge and longitudinal wave (scalar energy) that is encapsulated in a glycerin base. Once placed under the tongue and absorbed into the blood stream the fat cells attract these signals and open their doors and release fat. This is all energy based and 100% natural. 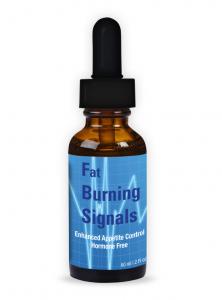 Fat Burning Signals is the only product of its kind. FBS is not a homeopathic or vibrationally charged hormone (HCG). So it is safe and more effective. FBS is more readily absorbed because it is pure energy. It is more stable because it is frequency controlled (proprietary). This makes it safe and has the same potency in every bottle, unlike homeopathic and vibrationally charged hormone, (HCG). Laminaria digitata: Kelp Thallus Thyroid stimulant. High in iodine, trace minerals, important minerals like calcium, iron, vitamin C factors, and proteins; helps to reduce oversized thyroid and lymph nodes. Fucus vesiculosus Bladderwrack Thallus Thyroid stimulant. High in iodine, trace minerals, important minerals like calcium, iron, vitamin C factors, and proteins; helps to reduce oversized thyroid and lymph nodes. Foeniculum vulgare : Fennel Seed Reduces gas and abdominal pain, reduces appetite cravings. Gymnema sylvestre : Gymnema Leaf Ayurvedic herb; makes sugar tasteless, aids insulin production, lowers blood sugars for insulin-challenged individuals. Eupatorium purpureum : Gravel Root Diuretic, clears urinary/kidney tract obstructions and inflammations. Juglans nigra : Black Walnut Hull A high source of iodine and silica, and one of the best known of all anti- parasite-detoxifying herbs. Arctostaphylos uva ursi : Uva-ursi Leaf Strong anti- bacterial and diuretic action that clears and cools kidney/urinary tract inflammations and obstructions. Cassia angustifolia : Senna Leaf Stimulating laxative action, reduces constipation, cleansing and detoxifying action. With each order of FBS you will receive instructions for a low cal /low fat eating protocol. This protocol needs to be done with the FBS (Fat Burning Signals) so you will burn 100% fat. If you do not take the FBS while on this protocol you will burn muscle not fat. Contents of FBS bottle should be used within 60 days of breaking seal. When you calculate how much less you are going to spend on snacks and other non-healthy foods, you’ll actually save money by using FBS. Jeff figured he saved over $200 per month on food cost which was more than enough to cover the cost of the Full Diet System. Plus, after losing 60 pounds and feeling great and being a healthier… How much is your health worth? And with 7 out of 10 adults in the US either overweight or obese, people need this product. Help us spread the word. For the first two days of your program, you are asked to “FORCE FEED” or more simply, eat normally, including such foods as chocolate, fried foods, pork rinds and bacon, bread & butter, pastries, etc. This is a very important step of the program for it prepares the body for the weight reduction program. This also allows time for the FBS to take effect and cut your appetite so that you may bypass any possibility of suffering from hunger pangs. Your actual weight loss protocol will begin the third day of your drops. It is at this point that you must adhere to the prescribed program WITHOUT DEVIATION. Consuming more food than prescribed or consuming foods that are not allowed will only result in an immediate weight gain. It is also very important that should you deviate, you will return and it will take several days for progress to return to normal. NOT DRINKING THE PROPER AMOUNT OF WATER WILL INHIBIT MAXIMUM WEIGHT LOSS, AND IN SOME INSTANCES ENCOURAGE A WEIGHT GAIN. You may have three diet sodas a day or three glasses of Crystal Lite or NutraSweet Kool-aid. These beverages do not count towards or substitute for your daily water intake. Tea and coffee may be consumed in moderation, however be advised that caffeine can stimulate hunger. It is best to switch to decaffeinated forms of the two. (Tea and coffee can not substitute for water). As with any weight loss program, alcohol is prohibited. You may have your fruit for breakfast and then use the two slices of 40-45 calorie Sara Lee whole grain bread to make a sandwich for lunch. 4 ounces Protein (weigh before cooking or use the palm of your hand for size and thickness) from the food list OR you may have 1 ½ cup non fat cottage cheese as your protein. 1 fruit portion from the food list. You may rearrange your food choices to fit your individual needs as long as you do not add any additional foods or eat all your meals at the same time (example: skip lunch and eat all for dinner). There is no objection to breaking up your meals. For instance, having an apple or ½ grapefruit for breakfast or an orange before going to bed provided that they are deducted from the regular meals, is acceptable. The two fruits may not be eaten at the same time nor can any item be saved and added to the meals the following day. The protein group contains the following choices. Please note that the use of red meat is limited to three times weekly. Tuna or Salmon are also limited to three times weekly. All visible fat must be removed before cooking and the meat must be weighed raw. It must be cooked without additional fats or oils. It can be grilled on the George Forman grill, baked or broiled. You may use Pam or a similar spray OR I Can’t Believe It’s Not Butter spray only. The vegetable choices are as follows: You may use one cup fresh, frozen or caned vegetables. ½ cup of corn, green peas, OR carrots may be used once per week. Your fruit choices consist of the following: Only fresh or frozen fruits may be used. NO CANNED FRUITS ALLOWED. Any and all spices may be used, but NO FAT, OIL OR BUTTER may be used. Any type of vinegar, lemon or lime may be used liberally, although it is preferred the juice of not more than one lemon or lime be used per day. Tabasco, soy sauce, picante sauce and horseradish are allowed in moderation. Make sure that there is NO SUGAR CONTENT. Bragg’s liquid aminos and Stevia sweetener can be used as well. 1 serving of Melba toast is also allowed on a daily basis. GUM and Mints must be sugar free. ALWAYS MAKE SURE TO CHECK WITH YOUR HEALTHCARE PROFESSIONAL BEFORE STARTING ANY DIET. The first 2 days you will eat normally, while doing the drops. 10 drops under the tongue, 3 times a day. Hold the drops under the tongue for 15 seconds before swallowing. Then nothing to eat or drink for 30 minutes after taking the drops. Take your measurements at the beginning of the diet , it is recommended taking them each week on the same day of the week. It is not uncommon to lose inches even though you may not be losing much weight. Do not skip any meals. It has shown that lack of protein can inhibit weight loss. Have a scale that weighs in pounds. Sometimes you will not lose a full pound, so it is nice to see you are losing something. Always weigh first thing in the morning, naked and after going to the bathroom. You need a food scale. They are about $5.00 at Walmart. It is very important to eat exactly the amounts indicated. Braggs liquid aminos all purpose seasoning, and Stevia can be found at any health food store. Harmons does carry Braggs and also some of the flavors of Stevia. A couple of drops can be added to your water to give it a little flavor. English toffee is my favorite. If you hit a plateau of not losing any weight, this is normal. If it goes more than 4 days, you may want to consider an apple day. This consists of eating only apples for a 24 hour period of time. You will start at lunch and end with breakfast the following day. You may only eat 6 apples. Only drink water to satisfy your thirst. The drops DO NOT need to be refrigerated. When you have finished your drops, you will need to continue the diet for 3 days as the Fat Burning Signals are still in your system for that long. The following 3 weeks is the maintenance program. You will need to continue eating the same foods, but increase the amount you are eating. Still no sugar or carbohydrates. You may add cheese, additional fruits and vegetables. This helps to reset your metabolism. As of today, I weigh 185 pounds and my BMI is 26.5 “A lot better” My waist went from 40” to 34”. My shirt size went from 18” to 16”. Within the next month I will hit my target of 170 pounds with a BMI of 24.4 and I’m 100% confident that I will be able to maintain my weight for the rest of life because of the lifestyle changes that are built into the Max Pack Weight Loss Program! Over the last several years I have tried a lot of different weight loss programs that took a little weight off temporally, but they never really addressed the real changes necessary to get me to my desired weight and then to maintain it. YOU CAN DO THIS TOO WITH FBS! Since the FBS weight loss program is based on a low calorie, low fat diet with proper supplements, you are creating the lifestyle changes that will stay with you long after you have achieved your desired weight. If you would have told me that I could have gone from 245 pounds to 185 pounds in 90 days when I first started on the FBS, I would have told you; “In your dreams.” My goal was to drop maybe 20 pounds when I started. But after I started the program, I became enthused with the belief that I could get my health and zest for life back to what it was when I was in my 20s. And that is exactly what has happened. I was going to wait until I hit my target of 170 pounds before I sent this out to everyone but I know there are millions of people who are looking for an answer to their weight and health related weight issues. AND YES, YOU WILL SAVE MONEY. When you take iZeeLyte and iZeeNyte along with the FBS, you’ll maximize your weight loss and that is why we call the 3 products together the MAX PACK. We have the answer to the marketplace’s weight issues and everyone can afford this because it won’t cost them anything!!! Share the Max Pack with people and see their lives change beyond their wildest dreams. 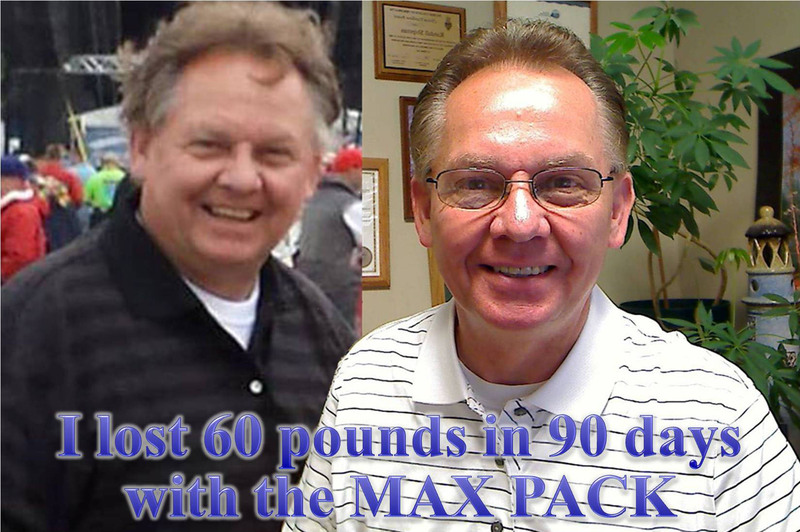 The FBS Natural Weight Loss Solution has changed my husbands’ life and mine. We decided to start the program together as we were so impressed with the results that others had with the weight loss program. My husband has lost 35 pounds and I have lost 15 pounds. It has now been 8 weeks and we are off the program completely. My husband is a construction worker and previously had a lot of problems with his knees, and I have arthritis in my lower back .We have been having ongoing pain from these conditions for a number of years. Now with the reduction of weight we are pain free and feel wonderful, all of our other minor aches and pains have also disappeared. We are sleeping better and have a more positive outlook on life. Unlike other diets that can take months to see results with this programme you lose the weight daily and this is so encouraging. This experience has changed the way we look at food and has changed our eating habits completely. The other people who are also on the FBS program have been wonderful too, helping and encouraging us through the experience, I can’t thank FBS and them enough!! I started FBS natural weight loss drops on the 24th January and weighed in at 223 pounds. Initially I wanted to get down to my Ideal weight of 165 pounds which is a healthy for my height. By day 43 the 8th march, I had lost aver 28 pounds and now weighed 194 pounds, that is 28 pounds of stubborn fat I had managed to lose. I had never felt hungry on the program and had heaps of energy to help me keep up with my three children and be able to complete a full day’s work without getting as tired as I used to. I now eat so much healthier than I use to and find it easier to resist the temptation of the foods I once ate on a daily basis like take-outs and all those sugary energy drinks that are out there. My clothes are falling off me and I have had to buy a new belt to keep my jeans up, I found the three weeks of maintenance easy to do and loved being able to eat dairy products again. I’ve maintained my weight over the maintenance program and I have not felt better in my life. I decided to go on the FBS program again so I can lose the last 29 pounds and be at my ideal weight, I am looking forward to starting the program again because it is so easy to do, I absolutely without a doubt recommend that everyone that has struggled continuously to lose weight and keep it off go on the FBS natural weight loss solution. It is the best thing I have done and it will be for you too, GO FOR IT and don’t wait you will love to see the pounds and inches disappear before your very own eyes and feel great at the same time!! I started my weight loss with FBS on the 4th of April after being inspired by a friend (Kim Weston). Kim introduced me to a couple other girls who were on the FBS who guided me through the program step by step. I was a little skeptical but decided to give it a go, after my first week I had lost almost 5 pounds and continued to lose another 15 pounds making it a total of 20 pounds! I not only found it easy to do seeing the results so fast was amazing, I have an amazing amount of energy am sleeping so much better but one of the biggest things for me was that I was able to come off anti depression medication that I have been taking for about 15 years with no side effects at all when I have tried in the past to stop taking the medication the side effects have just been awful that I have started taking them again. I cannot thank Kim and those other girls enough for introducing me to FBS and also being there to answer any of my questions I had, thank you for all your kind words and wonderful support… You and FBS are just amazing! When I first sought out the FBS program I was nearly in tears as I was ‘over’ trying other diets and wanted to do something about my weight, yet did not know what next. I was sceptical just like everyone is at first as I have tried EVERY other diet there is to try, Jenny Craig, Weight Watchers, The Natural Diet Company, Eating Right for Your Blood Type and more. ..You name it, I have done it. After speaking with a couple people who used the FBS program, I was determined to give this a go, no matter how hard it was. I started straight away the next day as I had a wedding dress to fit into. I always promised myself I would never be a ‘Fat bride”. I also knew I had a few hurdles along the way as I had many social events such as my sister’s bachelorette party and wedding to attend, a school camp as I teach but never the less I was determined. I stared the programme on 12th February with my wedding on 23rd April (Ten weeks away). In the first week, I was hungry and as I told my family, I wanted to ‘eat my arm off’. As I got into the second week and started to see results, it got easier as my body must have adjusted and I never felt hungry AT ALL. I used to always complain of being tired and getting headaches but funnily enough I never was tired or had one headache on this programme. The other people who were on the FBS program supported me along the whole journey to which I am very grateful as their support has kept me going and I am feeling like I have not felt in years. It is amazing how much your body does not need to eat and once you are focused, it gets easier and easier, especially saying no to all the morning treats at work. I am also a very social person so I eat out a lot and I found that by asking for my foods at restaurants, they were really good at catering to my needs and making me foods that I wanted, which I also did on the bachelorette party and took my own food to camp. I have lost over 17 pounds after being on the 30 day programme. My goal before my wedding is 22 pounds but it is amazing how even by losing 17 pounds those ‘Lee’ jeans I have kept for 3 years fit again and people keep commenting about the weight that has come off without me telling them what I have been doing. I am really focused to do the maintenance programme until my wedding and the 21 day programme after my wedding to drop more weight to get ready to start a family as a healthy mom. Thanks so much FBS and the others who were there for me with your amazing on-going support and positive feedback. I have not felt this good in years and I will definitely feel good on my wedding day. I wholeheartedly recommend FBS Natural Weight loss as the best programme I have ever done! Thanks again FBS, you have made my wedding complete! I am at the end of my 43 days. I can’t believe how fast it’s gone and I did it with ease, NOT deviating one bit like I normally do on other diets, what an amazing journey it has been. FBS Natural Weight loss Drops has helped me not only to lose the stubborn fat but has also changed my whole attitude towards life. I am so much happier within myself, I have more energy than I could ever of imagined, I’m positive, focused, I concentrate better, I drift off to sleep with ease, I don’t worry so much, things just don’t bother me like they did before. My cravings for all the foods I use to love have disappeared; a day would not go by that I would want something sweet like chocolate or fatty foods, such as hot chips or salty potato chips. It just doesn’t bother me anymore and that to me is an amazing achievement. Here I am 6 weeks on; losing over 33 pounds in 6 weeks that is 33.2 pounds of stubborn fat. I have lost 6 inches off my waist, 7 inches off my navel and 5 inches off my hips. It just feels amazing to finally rid myself of all that extra stubborn fat that I have tried to lose since I was a teenager. I use to hate shopping for clothes and avoided it and spent most of the time in baggy t-shirts, track pants and sweatshirts. I just hated it, I never went swimming and I hated my photo been taken, I can now smile back at the camera and be proud of what I have achieved. My husband loves the new me and has supported me the whole time, he and my son started the program 3 weeks ago and have lost almost 22 pounds each and they feel and look great, and have not been hungry at all through the program. I also have many friends and family on my program and they too are having great results and so will you. My sinuses have cleared up, my rare skin disorder has improved immensely and the aches in my ankle from spraining it a number of years ago have gone. I also had a bad knee from playing badminton and use to wear a knee brace, now I don’t need this to play anymore, I can run around the court with ease because all that extra weight is gone and I have so much more energy. I joined the gym a week ago, it has been over 10 years since I’ve stepped foot in a gym, I love exercising now and can’t wait to get there and work out, I still have 22 pounds to go and I am 100% sure that I will be at my goal weight in the next 6–8 weeks after my maintenance phase, there is no doubt in my mind. The FBS NATURAL WEIGHT LOSS SOLUTION will work for you if you are serious about a new you and finally losing that stubborn fat. It’s only for a short time, you need to be focused and strict on what you eat and you will reset your master gland – the hypothalamus gland and get your body working again to its full potential for the rest of your life! If you cheat on yourself the program won’t work, it takes 21 days to create a new habit so go ahead and make the change now and look forward to the new you and a new lifestyle. Thank you to everyone that has supported me in my weight loss journey it’s been the best weight loss journey ever. These products, services, and/or statements have not been evaluated by the Food & Drug Administration. Furthermore, products, services, and/or statements are not intended to diagnose, treat, cure, or prevent any disease(s). Please consult with a physician before you embark on any health related program.